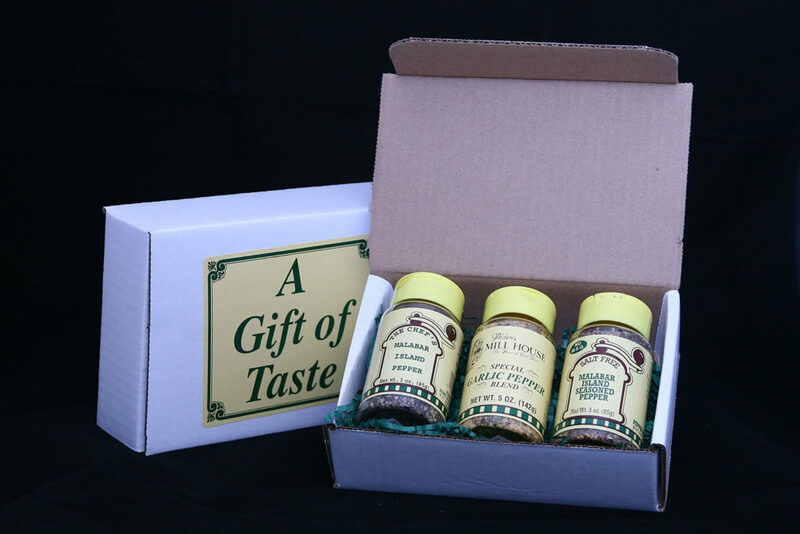 The Pepper Box includes: Malabar Island Pepper, Garlic Pepper and Malabar Island Seasoned Pepper. All packed and ready to go as a gift for your loved ones or family. $16.97 value for $15.90!